While the majority of posts on my blog are centered around all aspects of dividend investing every once in a while I like to highlight some of my real world money saving techniques that I employ. A while back I wrote about how I saved hundreds of dollars switching my mobile service to Ting and how I saved almost $400 a year on my home phone line with Ooma. Of course, I’m writing this post on a used Dell laptop I bought on eBay running Lubuntu with Libre Office saving me untold amounts of cash by harnessing open source, free software. I’m no slave to Redmond nor Cupertino. The reality is that there are dozens of ways to save money in our day to day lives. One such day to day task that has been vexing my savings is something that I know everyone, male and female can relate to. The shave. Ahh the shave. That daily or near daily routine that millions upon millions of us perform to achieve that perfect groomed look. Of course, one major problem with maintaining this groomed appearance is the cost of the shave. I swear, even though I am a shareholder of The Procter & Gamble Company (PG) and love using my Gillette products, I often curse to myself each time I have to buy a replacement pack of cartridges. When did cartridges become such a valuable commodity that they are now locked up like expensive booze? In any case, one full year ago I said, ‘enough’ and set out to see if there was a better solution to my near daily shave and find out once and for all how much money could I really be saving by not submitting to my Gillette shave master. I have been shaving with the (old school) Gillette Sensor (Excel) Razor. I used to own the original Sensor but then “upgraded” to the Sensor Excel. The cost of the handle with three shave cartridges totalled about $20. Factor in about four 10 pack replacement cartridges I use in a year at about $12 a pack and I have a very good estimate of $68 for my first year shaving expenses. Of course, going into year two and on I do not have a shave handle expense but I think you can see where this is going. My example may not be that dramatic as I have used this older razor model for many, many years but when I look around at the cost of the new Gillette® Fusion® ProGlide® Power Razor with FlexBall Handle Technology costs I shudder. A single razor and blade can cost over $10!!! I can’t imagine what my annual costs would be if I used that as my primary razor. I know that it would easily be well over $100 a year. Of course, my frugal nature put the brakes on this razor insanity and I decided to look for an alternative. I’m sure you have heard the saying, “There’s nothing new under the sun,” and in that respect I found that to be 100% true with regard to shaving. 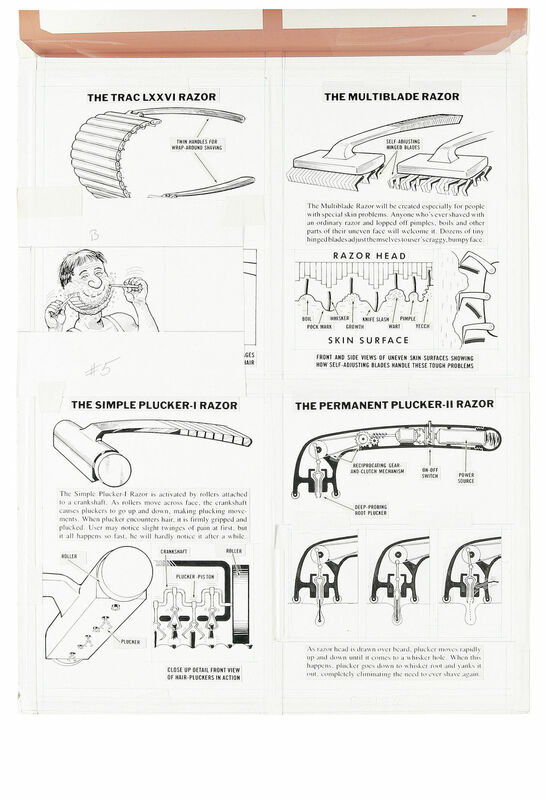 Upon researching online at different shave trends I have noticed many web sites declaring that razors are a rip off and learned about a shave trend that goes back to the manner at which my grandfather used to shave. The one hundred plus year old safety razor. With more research I have found that this shave technique not only provides an awesome shave but can be done for literally pennies a shave. Needless to say I was interested. After all, if this method of shaving produced soft and silky smooth cheeks for my grandfather why could it not do the same for me? Enter my foray into the world of “old school” safety razors. For about $30 I bought myself the Parker 99R butterfly safety razor. It’s a pretty heavy duty feel razor that came with five double edge razor blades. Once those were used I was able to buy on eBay one hundred Astra Platinum Double Edge Safety Razor Blades for just under $10. I have seen other 100 packs of double edge blades for for $8. Basically a 100 pack of blades can last me approximately two years. So first year costs of the Parker 99R butterfly safety razor with five blades plus an additional 100 Astra Platinum Double Edge Safety Razor Blades came out to about $40 for the first year with another 50 blades still left which will make my year two cost of shaving $0. Needless to say I won’t be going back to Gillette products. Though I love my PG stock and many of their products the razor/shave experience is just a little too pricey for me when I can get a great shave for pennies each. Of course, I could save even more by simply growing a beard. What are your shave experiences and costs? Are any of you using “old school” shave methods? Please let me know below. Thanks for the suggestion on the Razor. I now know what my kids can get me for fathers day. I will say that it makes a great Father’s Day gift. After one full year of shaving this way I can honestly say that it’s as close if not closer than any disposable mass market blade. And with these safety razors you can literally try dozens upon dozens of different blade brands from all over the world and can experiment with the different blade types. eBay can be a great source for buying sample packs if you wish to try several different blades as opposed to committing to 100 blades all at once. No matter how you look at it these old type safety razors give great shaves for pennies. Thank you for stopping by and commenting. I have to shave every other day otherwise i have a pretty mean beard starting. I use electric but have been interested in going old school. Im going to check out your find. My friend used disposable BICs daily. I cant even imagine. In all seriousness though, every little bit helps us reach our goals. Nothing wrong with that! I only write about products or services that I personally use and can fully recommend going this old school route for your shave. I have been using the Parker 99R for over a year now and the razor still looks like new. Over the past year I have tried about six different blade brands from all over the world but have settled on the Astra I mentioned. I still would like to try the Feather brand blade which the reviewers all say is insanely sharp. Might be good for a mean beard such as yours. After one full year of shaving in this manner I can say that I will never go back to Bic, Gillette, Schick or whatever mass produced disposable razor exists. Besides for an awesome shave, I am saving some real cash as well. I will just say that if you do go this route TAKE YOUR TIME with your first few shaves. Learn, feel and try different blades and be patient with your shave. No rush jobs with these blades or you will get cut. Thanks for sharing your shave experience. About 10 years ago I made a saving of 10 haircuts per year by buying an electric shaver. My wife now does my hair. At that time, I was not yet into FIRE and frugal. My driver was the strong dislike that I have for making an appointment with the barber, and sitting in that chair. Now, it is done at home( I still dont like it) but it is way faster now! As I commented to Adam I only write about products or services that I personally use and can fully recommend going this old school route for your shave. While I thank you for your PG contributions (I still use Gillette Shave Foam by the way) I would tell you to consider the Parker 99R or other similar style razor. I can tell you that it will give as close a shave, if not closer than any disposable blade you are using and all for pennies a shave. I remember using blades/cartridges well past their shave prime because I just hated the idea of throwing a blade away. With this method I can use a blade once or twice at most and just toss it. I’ll always have a sharp new or like new blade this way. Regarding your haircuts you sound a lot like me as I never liked getting haircuts and would often grow my hair for one or two years before my next cut. Just never liked going to get my hair cut or sit in that chair etc. but I figure since I go so rarely to the barber I can afford to pay a retail price for an annual cut. I appreciate you stopping by and sharing your frugal haircutting tip. Every little bit helps. Awesome! Another fellow DE SR user. I’ve been using my Merkur Progress for about 2 years now? Maybe a little longer, not sure. I absolutely love it! I too got sick of paying those exorbitant blade prices. I had been meaning to get myself a DE razor and my SO got me one as a gift. I then bought a nice stand for it, a brush, and a cup for soap. I have to buy a new brush though since the one I bought fell apart. I’ve been using soap creams, but miss my real soap and brush. As for blades, I am currently using Derby blades. The wonderful thing about these razors is how easy and cheap it is to try different blades. You don’t have to buy a whole new razor handle like with the cartridge type. Great post and thanks for sharing. I have been reading a lot of awesome reviews for the Merkur handles as well as blades. It seems like the German and Japanese blades rank highest among the DE shave community. I see you went all out with the stand, shave soap, brush etc. I just went with the basic shave handle and blades and use Gillette foam which works great. I have yet to try the Derby blades but I guess that’s part of the fun shaving in this manner. You get to try dozens of different blades and see which one suits your face best. Always happy to hear others out there jumping on board the old school safety razor train. Better shave, less money. What’s not to like. Thank you for commenting. Awesome post! I actually made the switch to Merkur long handle safety razor and love it. Not only do I think the shave feels better but there is something about the classic single razor shave I like. On top of all this, as you described, the cost savings! I have not purchased such a large set or razors as you have, although I will certainly have to buy in bulk some time, but have been tracking how many shaves I get per razor blade for different brands on both the safety razor and multi-blade razors since March of this year to get an idea on the cost savings. Glad you enjoyed this post. It’s fun to write about other topics besides dividend investing every once in a while. Isn’t it funny how the shave industry convinced us that we need two, three, four, five and even six blades in a single cartridge when one hundred years ago a single blade did the trick for a close and smooth shave. I totally agree with you that there’s something special and simple about a classic single double edge blade razor. I plan on keeping my Parker 99R as I’m very happy with it and don’t even bother counting how many shaves I get per blade as I bought in bulk. I use the Astra blade once or twice and toss. I always have a sharp, new or like new blade and don’t feel bad about throwing it in the trash once I’m done. I remember using my Gillette shave cartridges way past prime because it was tough for me to dispose of those expensive blades. Thank you for stopping by and sharing your shave experiences. I love the post topic because man can shaving get expensive. Outside of growing a beard, there really isn’t a way to prevent incurring some sort of cost to look great. Looks like you found a great way to lower your cost through Ebay. A five blade razor with 100 cartridges for under $100…are you kidding me?? I started using Dollar Shave Club and couldn’t be happier. Every other month for $6 I receive a new cartridge of 4 blade razors that usually lasts me the period. I typically grow a beard for 3 months, so I use this time to stockpile the extra blades and build a solid reserve. Again, great post. If this method doesn’t work, I will definitely be signing into Ebay and checking out your way. Not sure if they are much cheaper to get it direct, and Dollar Shave Club does provide the convenience aspect too. If you buy just the blades it is cheaper. I just commented that on eBay 100 Dorco blades are about $8. My brother joined Dollar Shave Club about a year ago when I first started using my double edge razor. Needless to say he bought his own Parker 99R eventually and shaves in this manner too. He later dropped his DSC subscription. I have learned that DSC uses Korean made Dorco blades. You can get the same shave quality even cheaper if you buy your own handle and get 100 Dorco blades for $8. But I guess since you are really not a heavy user and can stockpile cartridges you’ll always have blades in reserve. Glad you enjoyed this post. I guess there are still ways to save money and still get a great shave. No need to be a slave to the corporate shave masters. Have a great weekend! Thank you for commenting. Great article! Although there is a lot of tips for man on here I just love reading about ways in which people save money. One of the best books I ever read in my life is the millionaire next door and it shows that, contrary to popular believe, most wealthy people are frugal and smart about their money. Thank you for the kind words. Parker makes a razor handle for women too so the shave savings can apply to you as well. Look at the Parker 29L model. Wealthy people are wealthy for a reason. They spend carefully, save and invest and rarely put their money into depreciating assets like new cars or leases. Any money that’s invested from their perspective generates a return from the beginning or soon thereafter. Think about buying dividend paying stocks and how soon that money goes to work for you. Thank you for stopping by and commenting. My roommate in college switched to using a “safety razor” to save money and because it was becoming a popular thing to switch back to doing. He bought the badger hair brush and everything, and then bought razor blades in bulk off Amazon just like you suggested. It seemed to take him a little longer to shave, but he said how great it was. My skin doesn’t like to cooperate with anything new (at least with shaving my neck) so I haven’t made the plunge yet. I did switch to buying Dorco razors, which are half the cost of Schick and Gillette and I have not noticed a quality difference in shaving. I still grab the almost free Gillette and Schick razors when they have those coupons though. Looks like your college roommate went all out for the safety razor experience. I just went with the handle and blade and still use the Gillette foam in a can. It is true that you need to take your time shaving in this manner and use shorter strokes than with cartridges but the shave is insanely close and can be achieved for pennies. I had just commented that Dollar Shave Club uses Dorco blades in their razors and a 100 pack can be bought on eBay for about $8. If you have a sensitive neck you can always buy sample packs of blades and try many of the dozens of brands that exist. I’m sure one of them will be sensitive to your neck. As always, I appreciate your comment. 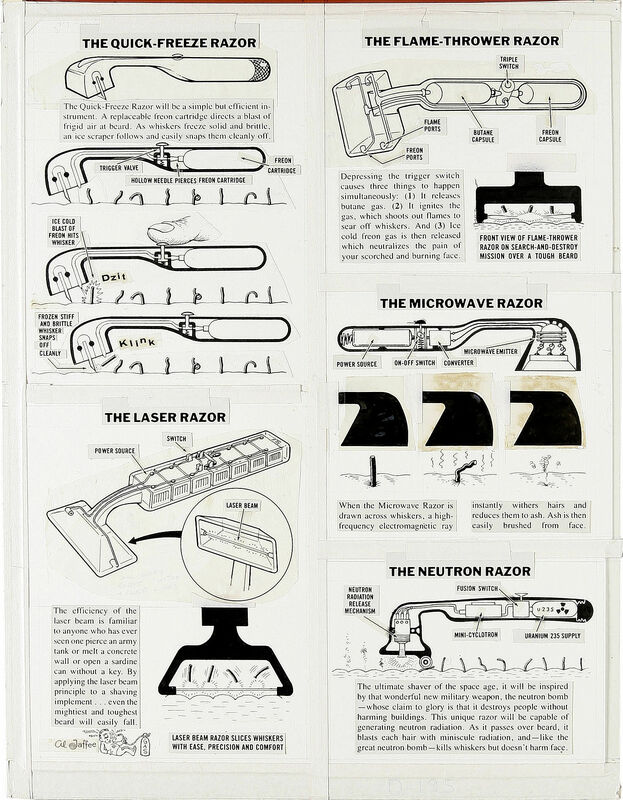 I’ve been using the electric razor for a few years now, as I was having some pretty major rashing issues – not sure if it’s any more economical than the old razors I was using, but would be worth doing the analysis. There’s no way I’d be interested in growing a beard though, even if it saved $100 a month – I can’t stand having hair on my face for more than 24 hrs! Jason@Islands of Investing recently posted…Disaster strikes! A Tsunami hits the Million Dollar Islands! The beauty of the “old school” double edge razor is that you can sample from dozens of different blades till you find one that suits your face and sensitivity. It may be worth a shot to compare costs as well as the “shave flexibility” you get with razors. I used to use an electric about 25 years ago when I started shaving for real. It’s been a long time since I shaved that way and I have no intention of going back. I really like my double edge razor. Thank you for stopping by and commenting. Another one bites the dust. We were very hesitant in buying PG as we believe there are some enemies (albeit small currently) that are shrinking their moat. One can probably argue that the Gilette deal may have been a very bad decision. Duracell is already being jettisoned for a song to Berkshire and now the competitive advantages of the Gilete shaving business are dissipating rapidly on several fronts. We continue to use their products daily but Mr. FD may try Harry’s soon. We believe strongly in the household products and thus decided that business is safe, for now. We will closely monitor PG though. Enjoy the savings. You raise some interesting points about PG jettisoning many brands in recent years, Pringles come to mind as well, and with beards being trendy again or at least facial hair, the threat to the shave business is very real. But, PG does have a huge stable of brands that you and I continue to use as well as millions upon millions of other people so I do agree that their core business is probably safe. I see the Harry’s ads every time I go online. I still would suggest the classic double edge razor similar to what I have bought. Over a year later that I’m shaving this way and I have zero complaints. Thank you for commenting. You gotta love saving money any way possible. I too find razors from PG incredibly expensive. I remember getting poked fun at in highschool/college for not being able to grow a beard and was a bit depressed at myself that I could not grow a beard. As the years have passed, i am SOOOOO happy I still cannot grow a full beard. I can easily go 2-3 days with just taking care of the mustache and I’m good. I routinely just clean up my cheeks and can go about a week without shaving. Now, so of those same people who were poking fun are jealous because they have to shave every day and by the time 5o’clock rolls around, they look like I would after 2 days. Three years ago I went and bought a trimmer for $35 and my wife cuts my hair. About 6 cuts per year at $15, I was spending $90-100 a year. Now its free! It may seem like a silly first thought regarding saving money by changing a shave method but it translates into real dollars. Since I used the older Gillette Sensor model all these years the savings might not be as dramatic but had I been using the newer blades which go for close to $10 a pop the savings would be more than significant. But, as you stated, I look to save money wherever possible. I think it’s great that you have found savings with your haircuts as your wife and trimmer can attest to. I don’t get six cuts a year so I just stay with my good old Fantastic Sam’s or Supercuts as I average one to two cuts a year. Glad you enjoyed the post. Thank you for stopping by and commenting. But at least keep buying the Gillette shaving cream. I need the dividend income. Then again, if this post goes viral and Gillette razor sales go down, maybe Procter and Gamble stock will also go down and become a more attractive buy. I can dream, can’t I? ARB recently posted…Do I Look Stupid To You? That’s a great video. It speaks exactly to what I was saying that the shave industry wants us to believe that we need more and more blades, vibrating handles, lights, lubricating strips, fins and who knows what else to get a good shave. It’s just not true. I can say without doubt that shaving with a single blade using an old style butterfly razor gives me an incredible shave every time without the unnecessary bells and whistles. Don’t worry, I still use Gillette shave foam and many other PG products so that stock and dividend should be safe. As always, I appreciate your comment. Funny topic. I buy the cheaper disposable ones (around $5 a pop), and it takes me at least 1/2 a year to run through a 4 pack. I am lucky in that my job is not extremely strict, I shave about once a week and sometimes even longer or go for a beard. Sometimes I have to shave if the job requires a respirator or face mask to be worn. My real driver for shaving is probably my wife, once that beard is ‘too long’ its gone. I guess for you the switch might not make as much economic sense but even so, I still would recommend this shave method. It’s effective, leaves you feeling very smooth and can be done for pennies. Then again, it seems like your driving force behind your shaves is not your job nor finances… it’s your significant other 🙂 Whatever it takes to make everyone happy. Thank you for sharing your thoughts on this topic. I also cut my phone bill to $20/year using magicjack. It now has an app, so I can use it on my cellphone or tablet or text messages. As long as I have wifi, I’m in business. 🙂 it also has voicemail to email, so I know my miss calls if I get on my email. And use pre-paid cellphone plan for emergency. So far this year, I haven’t had the need to use my cellphone. It’s so true that changing a routine that you have been doing for many, many years is not easy. For me, I was just fed up with the crazy high costs of those disposable blades till one day I said ‘enough’ and tried something new. Now, I only wish I tried this ‘old school’ shaving method a long time ago. That’s what I always say, “There’s nothing new under the sun.” I never imagined I’d be shaving the same way my grandfather used to. Congrats on cutting your home phone bill. We have been with Ooma for almost two years now and are happy with the service. It’s about $48 for the year and also has an app like magicJack. magicJack really came a long way over the years. I remember when it first came out you needed a computer to make calls. Thank you for stopping by and sharing your money savings tips. Admittedly, I feel your pain. I generally just use the Gillette Mach 3 and buy replacement cartridges when they go on sale. On a positive note, I don’t shave all that often (I’m a fuzzy monkey), but obviously the down-side is that replacement cartridges are still expensive even when discounted. I have looked into safety razors before, but have never pulled the trigger. I’ll have to give that another look! But in general, I too have shaved (heh) money off my monthly expenses by canceling services. One thing I’ve been considering is switching from evil AT&T to their off brand, Cricket Wireless. My main concern there is that the iPhone, even though I still wait years between updates, is subsidized with AT&T but not so much with Cricket. That means I can A) keep my phones longer between upgrades, B) switch off of Apple or C) pay full price. If I pay full price, I will wipe out any savings I got by switching. The best option out of the three is probably just waiting longer between upgrades and still going with Cricket, but I’d definitely appreciate some input on this one. I think you should pull the trigger on the double edge safety razor. As I commented to others, it’s a great shave than can be achieved for pennies. It takes a little getting used to in the beginning and you cannot rush your shave but once you get the hang of it you’ll be super smooth and won’t curse every time you have to buy one of those expensive replacement cartridges. I have heard of Cricket Wireless but never looked into it. I am happy with Ting and my average cel phone bill is about $13 a month. I don’t care much for the newest tech or gadgets and bought an old LG Optimus on eBay for $23 almost two years ago and have been happy with it and the Ting service. I still think almost all cel phones and plans are total rip offs as people get scammed by the word ‘unlimited.’ It’s not about unlimited usage it’s about actual usage. Know your actual usage and then you can save. Thank you for stopping by and commenting. All that being said, I’m working on becoming more minimalist because of our RV Trip, so an old school razor might be an option. Glad I could put a smile on your face. I guess the key reasoning for even writing a post like this was my continual frustration when buying replacement cartridges. It just angered me every time I have to plunk down $10 – $20 for a handful of razors. For a cost analysis to be accurate you really have to compare your current shave method to the classic double edge razor. If you use one of those newer Gillette razors the savings can be significant. Besides, after shaving this way for over a year I know I will always have a fresh new or like new blade as I toss each blade after one or two uses. Imagine doing that with a replacement cartridge. I know I’ll always have a sharp blade and don’t feel bad tossing them as each one costs pennies. Might be a consideration for your RV trip. Thank you for stopping by and commenting. When I first started shaving, my stepfather’s dad gave me a safety razor which I used until just a couple years ago (I’m 48 now). My wife gave me a Mach 3 and I was impressed by how good the shaves were. But good gawd a pack of cartridges are expensive!! This year I switched to a private label cartridge razor from Kroger that’s a Mach 3 knock-off that’s significantly less expensive and just as good. I like it, but I will probably go back to the safety razor in a year or two. You just can’t beat the quality and price of a safety razor! Sorry for the delayed response. DivHut was having hosting issues with GoDaddy. Your reaction, “good gawd a pack of cartridges are expensive! !” says it all. That’s what finally drove me over the edge as I was shopping for replacement cartridges of my own. I just had enough. Those old style double edge safety razors do the trick for me. As I commented elsewhere I simply use a razor once or twice and toss. I always have a super sharp blade that gives me a great smooth shave for pennies. What’s not to like? Curious to know when you’ll go back to that safety razor again. Perhaps when those Kroger knock-offs get too expensive as well. Thank you for stopping by and sharing your experience. I’m sure that Gillette, Schick, Norelco, and others are developing new, improved, and innovative shaving technologies that men will just go Mad about! Awesome images. Thanks for sharing and after looking at some a little scary. That wrap around razor looks dangerous even if that cartoon guy is smiling. Hi DivHut – great topic! 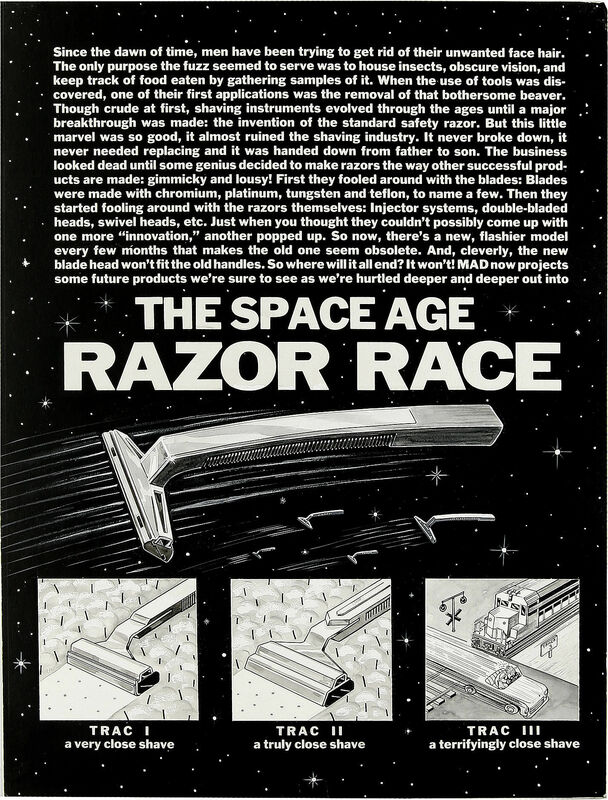 I have been through the same analysis and looked this up online but never actually made the switch to the old school razor. I do love the idea of a nice simple object that you can keep for many years because it does a great job. How’s the shave quality compared to the Gillette? Does it take you longer in the morning? Let me tell you first hand that I do not plan to go back to any of those cartridge razors ever again. After a full year of shaving with the double edge razor I am unconditionally satisfied. The shave quality is just as good if not better than with the cartridges. Yes, it takes a little patience and getting used to in the beginning and is not recommended for a ‘fast shave.’ Those blades are very sharp and must be done in short strokes instead of one long stroke across your face. That being said, there are literally dozens and dozens of different blade manufacturers from all over the world which you can sample and see which feels best on your face. When I first started I bought sample packs on eBay featuring different blades. I tried blades from Korea, Turkey, India, China, Egypt, Israel, Russia, Japan and Germany. Some blades were super sharp and effective in one pass, some needed a couple strokes. Some were super smooth and sharp even after several shaves (though now I just use once or twice and toss the blade since they are so cheap) and others were a little rougher. That’s the beauty of this method. You can try multiple blade types till you find that magic blade that suits your own face and sensitivity. Hope this gives you a better idea of what it’s like. Thank you for stopping by and commenting. I have read a lot of great reviews about the Merkur. While I went with the Parker razor I would like to try the Merkur blades. Seems like the German and Japanese ‘Feather’ blade get the best reviews. There’s no question that this method of shaving is much cheaper than the standard cartridge blades and give you as good a shave if not better. I think if people were aware of this shave alternative it would be a lot more popular than it is today. Thank you for stopping by and commenting. I like the feather blades a lot! Absolutely check them out. Evan recently posted…Are Some Government Officials Idiots or Blind to Reality? Good to know you like the Feather blades. From the descriptions I have been reading it seems like they are insanely sharp and not suited for a beginner wet shaver. After a year plus of shaving this way I think I’m ready to give them a try even though they are “premium” priced blades compared to others.